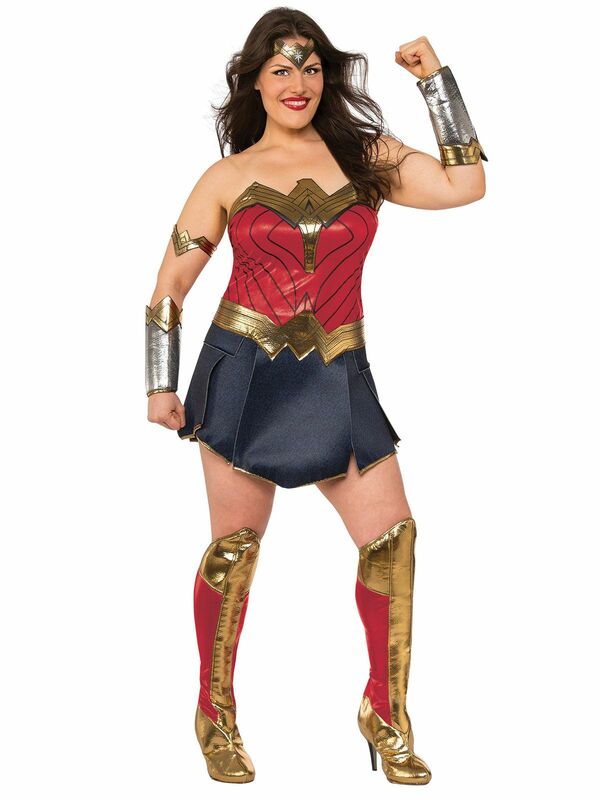 No one will be wondering who the best looking Gal in the room is when you're wearing this Wonder Woman Deluxe Adult Plus Costume. Includes dress, belt, gauntlets, tiara, arm band and shin guards. 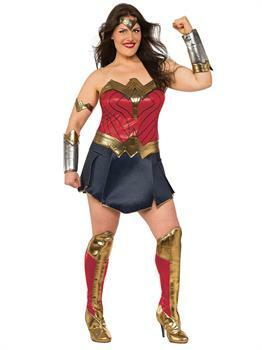 You can portray a strong female character with Wonder Woman costume. The Princess of the Amazon will always save mankind from evil powers. She can beat the God of war and she can easily terrify all bad people with her lasso. Are you looking for a super popular costume for yourself? We got a very clever and comfortable costume idea for you. Just keep scrolling down and you will see it soon. Click your adorable pictures in Justice League Movie - Wonder Woman Adult Plus costume and cherish these memories always.